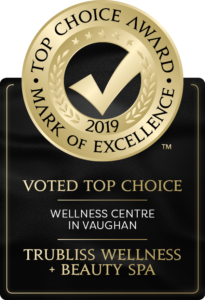 Your TruBliss satisfaction is our number one goal. If you’re not completely satisfied with your service, please advise the manager before leaving or within 48 hours of receiving your service. We will be happy to provide you with the opportunity to return so that we can assess the service. Please note that additional charges may be incurred if a guest has changed their mind according to their consultation. Your happiness with your service is our priority, and so is the health of your hair and entire body. We reserve the right to refuse a service should the service not be a fit for that guest. We want to ensure that you have a great experience while you’re with us. Our daily motto is Empowering Inner Wellness + Outer Beauty. Everything we do is about providing TruBliss for your Body, Mind and Soul. Please share your comments and feedback about your visit with us. We love and appreciate hearing from you!